Home » drinking sake » the sake dinner. september 18 2012. westborough ma. the sake dinner. september 18 2012. westborough ma. The latest Sake and food pairing attempt in the Boston area is…well, not in the Boston area. 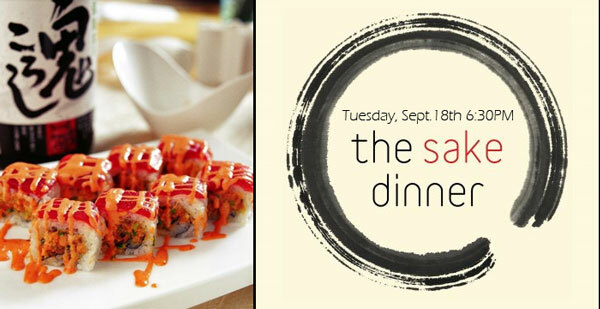 Julio’s Liquors is teaming up with The Mandarin, a local Chinese/Japanese restaurant, to bring you four courses and six Sake on September 18th. The event is sure to be a crowd pleasing one with Asian fusion food from the Mandarin and some great Sake and knowledge from Massachusetts’ best liquor store. Julio’s Liquors is a great place to buy anything alcoholic as well as high-end cheese, cigars and hot sauces. The beer section alone boasts over 1200 beers from around the world! Julio’s recently renovated their huge wine section, including their Sake selection. Wine Director Abe Lerner has assured me in the past that Julio’s will continue with it’s commitment to growing enthusiasm for Sake in Massachusetts; i think that this dinner is a great step. As you can see above, there is no link to reserve tickets and you must call The Mandarin directly. It also seems that the six Sake being served at the event are not listed yet but with Julio’s fine selection of Sake I have the utmost confidence that they will be great.